Every new tablet-like device that comes out is touted as a threat to Apple's very dominant iPad/iPad2. The new Kindle Fire is no exception. I spent some time stripping away the hype and have come to the obvious conclusion, the Kindle Fire is not a real tablet computer, it is a jazzed up eBook reader. At first, there was the obvious comparisons, but in depth reviews are now coming out online and it turns out that the Kindle Fire is not a viable work machine at all. What is evident, is that there is yet another really nice looking electronic device, not instead of an iPad but in addition to. If you want to see how the more traditional, now $79, Kindle looks, take a trip to your local BestBuy or Walmart. It is a slim and very usable machine, much lighter and a bit smaller than an iPad. But it has two functions, downloading and reading content from Amazon.com. If you compare an iPad to the original or low priced Kindle, it would be like the iPad was sleek sports car and the Kindle was a sub-compact with only one gear forward and no reverse and no ability to steer. The question is whether or not the new entry, the Kindle Fire, narrows the gap? The simple answer is no. Will I buy a Kindle? Will it be a Kindle Fire? Probably not, based on the specs. Why should I buy a Kindle when I can run a Kindle App on my iPad, and also download iTunes, Netflix, Google eBooks, iBooks, Barnes & Noble, Gutenburg and a host of other book and movie options on the iPad? I can also attach a keyboard to the iPad and make a stab at entering data directly. Current (Fall, 2011) predictions have Apple selling over 120 million iPads with a market penetration of over 84%. See MacRumors. Despite continued dire predictions about losing sales that come with introduction of every competitive tablet computer in the market, sales of the iPad continue to soar. For example, the analysts predicted iPad sales at about 1 million units when it was introduced in April, 2010. Apple sold 3,270,000 units on its introduction. See 2011-2012 iPad Sales Estimates. Despite the fact that Apple's sales continue unabated, there are still plenty of pundits ready to predict its demise caused by new Android machines in development. Back to my statement that the Kindle Fire is not a real tablet computer. Rather than argue details, look at the specs. It does have a color screen, it does operate with touch technology, it does use a fast dual-core processor but there are some serious questions about how it will function. See Ten things we don't know about the Kindle Fire. For a preview of what might be coming, see the Amazon Appstore on Kindle. Interestingly, there is a barcode scanner listed as an App, but the Kindle Fire has no camera or microphone. How is it going to scan barcodes? The real issue here isn't will Apple survive, it is whether or not Netflix will survive. The Kindle Fire is aimed at the book/video game/movie download market, not at the computer tablet market. Amazon is competing with iTunes not the iPad per se. See Fox News, Comparing Apples and Fire: iPad vs. Kindle. When you see what passes for a keyboard on the Kindle, think about entering genealogical information and then the question becomes where will you store the information and how will you get it off of the machine onto your computer? What did I say? Is this genealogy? That sounds like a yes. Sheesh is right! So, people think they're getting service from ancestry.com, but they're actually volunteering a personal family information to a Mormon organization that will in turn force their beliefs on them, like a used car salesman. Mormons motivation to sell others is because they think they will earn themselves a greater reward in the afterlife, which pretty much means becoming their own god of a planet. This is highly reminiscent of Satan in Genesis saying you 'will be like God' if you do this. Well, history repeats itself, people continue in sin by following greed and power and trying to be like God. But they are deceived and aren't aware of it. It's false teaching and those who were born and raised in it are too blinded to see how deceived by Satan the Mormon organization is. So, no, I will not volunteer my personal information to ancestry.com to further a Mormon agenda, because it's false teaching and they claim to be Christians, but they aren't. Most people I've met are good people who mean well and are dedicated to their families, but they are just stuck and blinded by the deception around them. Seek God and he will show you the way. I was particularly struck by the comment about "volunteering personal information to ancestry.com to further a Mormon agenda." I thought I was showing that Ancestry.com was owned by a large Investment Group called Spectrum Equity Investors, there is no hint of an affiliation with FamilySearch or any "Mormon" organization. Spectrum is headquartered in Boston, Massachusetts, not a particularly Mormon town. I am further not sure what Mormon agenda is being furthered by Ancestry.com. I don't suppose this person is a genealogist because he or she would have a hard time finding sources if one of the criteria for considering a source was the religious beliefs of the repository. I suppose he might also have difficulty doing research in Catholic parish registers and maybe he has problems with the Church of England also. I'm not sure exactly where he might be doing research that wouldn't encounter those who disagree with his or her world view. I am also speculating about what greed and power is obtained by FamilySearch giving free records to the world? Actually, I now have a better understanding of why some of the pedigrees I look at make no sense. RootsTech, FamilySearch, where are we today? Who benefits the most from the dramatic changes at FamilySearch and in the upcoming RootsTech Conference? That's easy, those who are aware of what is going on. FamilySearch is not a side-show, it is the show right now. The changes at FamilySearch combine a number of factors that work together to make FamilySearch the most valuable online resource available today. Too much attention is being focused on comparing FamilySearch to existing databases and not enough to looking at the whole picture of the value of FamilySearch to the genealogical community. From day to day, you might read reports about the huge numbers of digitized records going into the Historical Record Collections, but you seldom read about the infrastructure that supports all those records and the other changes being made to make the records not just "online" but accessible. So here's a shot at an overview of how all this works. First, the parts that go into making up the FamilySearch genealogical resources. The core product is the collection of 2.4+ million rolls of microfilm stored in the Granite Vault outside of Salt Lake City, Utah. Next is the project to digitize all those records. The digitized records then go online in the Historical Record Collections. A number of Bloggers, including me, announce the additions to these collections as the millions upon millions of records go online. But remember, all of these records have already been available through microfilm rental. Don't get me wrong, the availability of these records online and for free is revolutionary to the genealogical community, but most of these records have already been "available" for years. What is the key to this whole process of moving records online is a system of describing the records in a way that makes them even more "available." That process is being handled by the FamilySearch Research Wiki. By the time you read this, there will be over 62,000 articles in the Research Wiki about genealogical resources, how-to do genealogy, where to go for help and other topics. But the core value of the Research Wiki lies in the fact that it is a meta-catalog for all the online Historical Record Collections. As the Research Wiki grows, each of the Collections will be integrated into all of the other related online sources with explanations about how the different sources are interrelated. Historical Record Collections are not just a huge pile of data but an integrated, planned, effort to organize all of the records in an accessible way. But there is much, much more. For many years, the collection efforts of FamilySearch have been utilizing digital capture high resolution cameras. So instead of making more microfilm, the images being gathered throughout the world produce digital images. Millions of those images are making their way directly to FamilySearch.org in addition to the digitization of the previously available images from microfilm. These records are also integrated into the Wiki and thus the whole system. The key to the older images, in the past, has always been the Family History Library Catalog, the main catalog to all the microfilms. The Family History Library Catalog is also online. The catalog lists the microfilm records yet to be digitized as well as those that are already online. But the catalog entries have never contained the detail of information made available in the Research Wiki about the films i.e. Collections of records now going online. But the Catalog is still a hugely valuable online resource, not usually used to its full value. The huge Indexing project conducted by FamilySearch is providing accurate indexes to the Historical Record Collections. Unfortunately, the Indexing project although huge, will take many years to completely index all of the records. I say unfortunately, because of the value of the indexes. As the number of volunteers doing Indexing increases, the value of the indexes will also increase. If all that were not enough, FamilySearch and BYU are digitizing family history related books from their collection as well as from other libraries. These books show up in the Family History Library Catalog as available online. This massive effort to make the microfilms, digitized records and books available takes huge amounts of support. In addition, there are issues with individual family trees. To address part of that problem, FamilySearch made a first attempt at integrating many of its existing user contributed family tree collections in to a massive billion name+ database called New.FamilySearch.org. This product has dropped off the media radar lately, but is still growing and developing. Earlier this year, FamilySearch indicated that a substantial re-write of the program was in progress. I would expect that re-write to radically alter the way the records are presented and allow user corrections to existing records. At some point, the New FamilySearch product will be integrated into FamilySearch.org. Support for all of this work is being developed in the FamilySearch Forums, the Help Center and at the local Family History Centers. For example, the Family History Centers have all been asked to have a local Wiki trainer, to instruct the public and volunteers about the Wiki. That brings us to RootsTech. The idea here is to attract innovation and improvements to the whole system. So in a sense, the motor that drives all of the changes gets charged and fueled by the participation of the genealogical and technical communities. Just thought you might want to know what was going on. There is a lot more detail, of course. There are projects like TechTips that have so far had little exposure. Community Trees is another project that bears notice and use. Just keep watching, FamilySearch will change faster than you can believe. I was interested to read an article written by Paul Allen for the Deseret News entitled, "Family history in the future." I have long been a fan of Popular Science magazine but have always been amused by their predictions for the future. 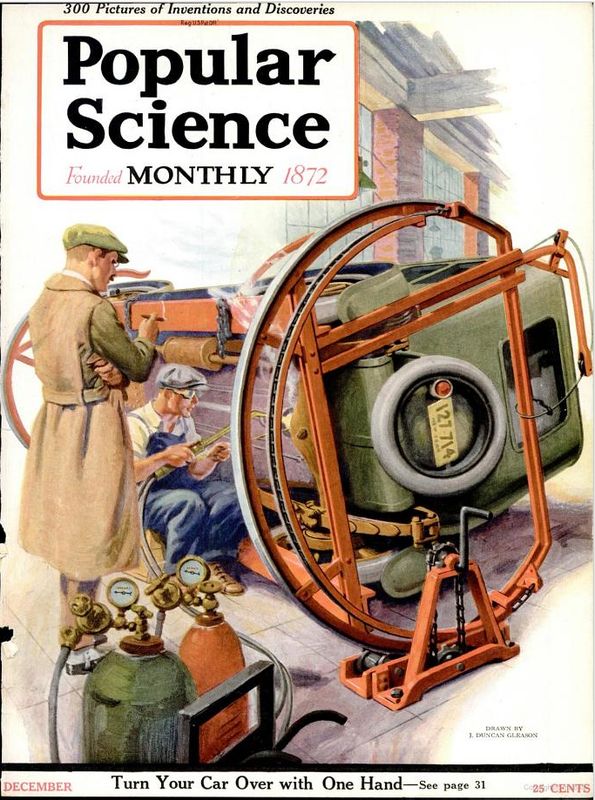 Some of the contraptions shown on the magazine cover over the years have become reality, but more frequently, the covers have not been very accurate. I also had an early interest in science fiction and one of the observations I have made over the years is that for the most part those who wrote science fiction, with a few notable exceptions, almost entirely missed the impact of computers. With this in mind, I thought some of the predictions made by Paul Allen to be on point, others not so close. Near the beginning of the article there is a prediction that "computer scientists will invent automatic ways to intelligently find actual references to your ancestors and bring them to you – in some cases, without you having to perform a single search." Hmm. How many of us think that the search engines we have now are even adequate, much less automatic. How many "computer scientists" do you know who have an interest in genealogy? Not techs who are hired by genealogy companies, but ones that really spend a great deal of time doing genealogy? Computer programs work very lineally, I don't work that way. What is being talked about is in the area of artificial intelligence and although computers are getting "smarter" there is no reason to believe that Star Trek is just around the corner. Do you think a computer scientist who knows nothing about genealogy will find a way to do genealogical research? Maybe, but I don't expect to live that long. Paul Allen observes that only a small fraction of the worlds records have yet been digitized. What percentage will have to be digitized before they read and digest the New England Town Records where my primary research interest has been in the past? Optical character recognition is still not perfect even with clear typewritten text and there are no programs that read old handwritten records with multiple authors even on the horizon. Unlocking those old records for computers will likely require a massive effort at transcription or it will be a long time coming. Printed material is another matter. Online searches in books and newspapers is a reality. Allen observes that Google has a goal to finish scanning all of the world's books by 2020. I would point out that they don't presently have access to those books and they will have to solve the legal battles over copyright before those books are available. They do have a huge collection online, but I can show you a half a dozen books I have access to that are not even in WorldCat.org. All is a big word. One comment in the article caught my eye referring to Facebook and Google+, "These kinds of sites will enable meaningful family conversations to take place around each piece of newly discovered content." He doesn't read the stream I get in Facebook or Google+. I'm sorry but I have yet to detect any meaningful family conversations. I guess in the best of all possible worlds that might happen but I do recognize that the network is a good way to find people with information. My discussions take place in person or by email. There is one thing I totally agree with in the article, things will change and there will be ways to find information not dreamed of today. But as for any fancy computer programs or online services doing my genealogy, I doubt that will happen in my lifetime. Thanks to Paul Allen for making predictions. Predictions do serve a valuable place in any pursuit. I can dream of a time when many of the tasks I do by tiring effort may be more easily done by electronics. Keep dreaming and keep innovating. I am ready to adopt every technological improvement you can throw at me. From the Arts & Humanities Research Council, Primary Sources on Copyright (1450-1900). A recent comment to my post about U.S. Copyright law's Fair Use Doctrine, raises an ongoing issue, the continuing attempt by individuals and companies to claim a copyright interest where none exists. I do not want to get into a fight over whether or not any particular genealogical database supplier has a "copyright" claim to the content of their website, but there are a number of very large and some very prestigious genealogical institutions both for-profit and non-profit educational, that claim copyright protection for documents that a clearly not subject to any arguable copyright. For that reason, I will refrain from giving concrete examples and I will not refer to any institution by name. In one case, a non-profit institution claimed a copyright interest in a photograph. If the photograph was as represented, then the image was made in the early 1840s. President Abraham Lincoln signed an act on March 3, 1865 adding photographs and negatives to the protected works under the Copyright Act Amendment. 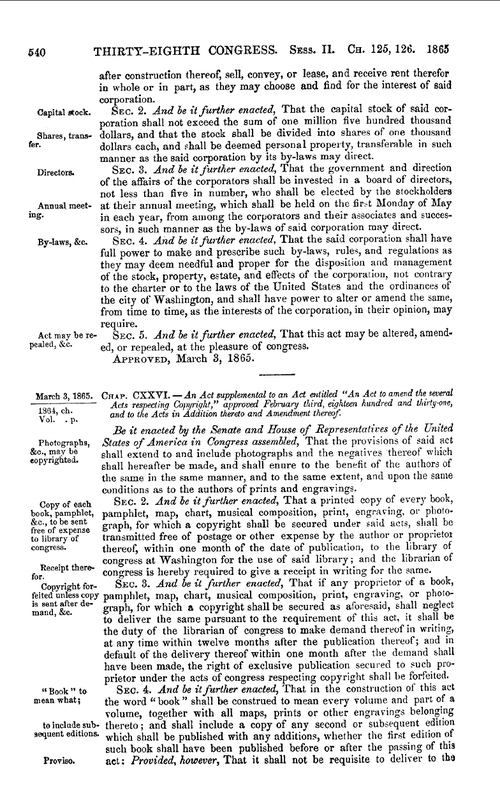 See Circular 1a, Copyright Office Publication. I have reproduced the original report of the Act above. There is no question that the Amended Act was prospective, so that a photo made in the 1840s was not covered by the Act and would clearly be in the public domain. Even when the 1865 Act was enacted, the provisions of the Act required the copyright claimant to transmit a copy of the photograph to the Library of Congress. If the claimant failed to deposit the required copy, the Librarian of Congress had to make a demand for the delivery of the copy and if the copy was not forthcoming, there was no copyright protection. So, for photographs in order to have ever claimed protection you had to be able to find a copy of the photograph in the Library of Congress. In addition, there is the question of the duration of the copyright had there been a copyright at all. The photograph in question was also in public domain because all copyright protection has expired for any and all documents (works) published before 1923. See Cornell University, Resources, Copyright Term and the Public Domain in the United States, 1 January 2011. So the question is whether or not anyone can acquire a copyright to a document in the public domain by either copying the document or incorporating it into some kind of database? No. If for any reason you need case law on the subject, please let me know. I have extensively briefed this issue and there are no cases upholding a copyright to a document that is clearly in the public domain. Did the filing of litigation by the claimant to the 1840s photograph have any effect. Yes, the company using the photograph was forces out of business because of the expense of the litigation. As I have said before, a clear case of might makes right even when the might is clearly wrong. So what about the claims to copyright by university libraries, document repositories and other institutions? A large state university holds the written documents from my Great-grandfather. If you try to obtain a copy of the documents, the university's website informs you that the documents are "copyright" protected even though my Great-grandfather died in the 1800s. The statement made by the institution is "Restrictions on Access: Twenty-four hours advance notice encouraged. Access to parts of this collection may be restricted under provisions of state or federal law." There is a copyright notice at the bottom of the page from the catalog telling about the documents. Under the U.S. Constitution and as initially implemented, copyright law was never intended to last forever. But many repositories use the smoke screen of the law or threats or coercion to extend their claims well beyond the limit imposed by law. You cannot focus on any one of the considerations to the exclusion of the others. Fundamentally, there is an implication in this exception to the copyright law, that we are talking about material that is clearly copyright protected. In one recent case involving a claim of copyright infringement, I quickly determined that the claimant had copied the material from another source. Sorting out who owns the copyright can be a very difficult to resolve. In another case, the claimant had copied a 19th century document and claimed current copyright protection. In these cases we have an issue of provenance. Genealogists should be acquainted with this issue, sometimes referred to as the chain of custody. I think the issue of copyright does not become a concern in genealogy because usually, we are dealing with documents that date back long enough that copyright is not a concern. Most of us are making copies for our personal use (which may never again see the light of day). Where we get into copyright and the Fair Use doctrine is when we try to copy an entire work, i.e. a Blog post, without a second thought as to the ownership of the original. First copy machines and now the Internet make copying whole books a trivial activity. But you can search in vain for any provision of the law that says that the ease of making a copy is a factor in Fair Use. In addition, you need to remember that, under our current U.S. law, it is not necessary to have a "copyright notice" on a document or work in order to have a copyright. What is the purpose for the copy? Personal use or commercial use. For example, do I intend to further publish the account or merely use it for personal reference? Is the book commercially available? Could I easily purchase the book? Am I making a copy simply to avoid purchasing the entire book? How much of the book is being copied? Is the chapter essentially the whole book or merely one portion of a much longer work? Will my copy keep others from purchasing the book? These questions will only lead to further questions if there is a claim of copyright infringement. Finally, (although in law you soon learn there is no finally) attribution (citing a source) does not excuse copyright infringement. How would I know if you copied my blog post entirely and published under your own name? This is where we get into the players in the action. The person who automatically owns the copyright has to take some action to protect the interest. I am sure you have seen the chain emails that go around. Almost always the copied work is subject to a copyright claim, but if the original owner does nothing to protect the interest, then multiple copies of the work may arguably put the work into the public domain. By the way, finding republication on the Internet is extremely simple. Most colleges and universities routinely require their professors to do a simple search to see if student content is original or not. In fact, there is software that automates the process. In the case above, where the copyright claimed involved previously copied material, all I did was copy a sentence and did a Google search on the sentence. I found the exact text in seconds in other publications. I can do the same with my blog posts. The common understanding of copyright law is rife with folklore and half-truth and some down right false information. From a legal prospective it is no different than any other area of the law, but we don't often discuss personal injury law or products liability in the genealogical community (other than in our non-genealogical lives, whatever that is). One of the areas of copyright law most intentionally and unintentionally misunderstood is that of statutory limitations. The term used by courts when they apply statutes to any situation is that the statutes are "strictly construed" (unless the judge wants to do otherwise, but that is another long book, not a post). When you get right down to it, copyrights are all time limited, that is, they expire. Other publications (works in copyright law) are not covered at all. That is not to say that there are not other limitations of the use of government documents, such as security classifications, but government documents are not covered by copyright protection. Remember the definition? The trick here is knowing if a document is a work of the United States government. But as genealogists we need to know that common government documents, like U.S. Census records are not copyrighted. Can a large genealogical database make a copy of the U.S. Census and then claim a copyright because the document is included in their database? Oh, yes, they can claim a copyright all they want. There are no copyright police out there stopping the large companies from putting copyright notices on government documents to scare the unknowing into submission. But their claims are not protected by the law. The real issue is accessibility. There are also issues of copying the parts of the database that may be subject to a claim of copyright. There is even a further issue, raised by the citation experts, about identifying the online database where you copied the information and date you made the copy. I would assume this would help the online database to sue you for copyright infringement if you inadvertently copies some of their copyrighted material. What about state documents? Can the individual states copyright their documents? Let me mention an exception to the general rule about U.S. government publications, contractors, grantees and certain categories of people who work with the government are not considered government employees for purposes of copyright. Now, back to the states, copyright law applies only to federal government works. State and local governments may and often do claim copyright in their publications. It is their prerogative to set policies that may allow, require, restrict or prohibit claim of copyright on some or all works produced by their government units. See CENDI (Commerce, Energy, NASA, Defense Information) Frequently Asked Questions About Copyright. Now what is the public domain? Public domain refers to works that are not protected by copyright and are publicly available. They may be used by anyone, anywhere, anytime without permission, license or royalty payment. Works can become part of the public domain either by expiration of the time limit for copyright protection or by usage inconsistent with a copyright claim. It is absolutely not necessary to have a copyright notice to have copyright protection in the United States. If there is a copyright notice, it is important to read the notice as part of a work may be copyrighted and part may not. As a general rule you cannot create a copyright in works from the public domain by incorporating public domain documents or works in your copyrighted document. But here, as in many areas of the law, might makes right. If you get the attention of a large multi-national corporation, do you have the resources (or the will) to fight? You can see these topics go on and on and so will this post only in later installments. Don't miss my presentation on copyright at RootsTech 2012. Am I supposed to know what this stuff is? I think that there will be something for every level of interest, but if you are looking for help with early Kentucky probate records or how to to "jump across the puddle" as they say, you many find a much more technical lineup than the usual conference. They are going to announce even more sessions but I am certain they will follow the same pattern. I attended BYU Family History and Genealogy Conference and if you are looking for down home, talk about the records in Cayuga County, that is where you need to be, or perhaps, at the Federation of Genealogical Societies Conference in 2013. But if you want the real story on genealogy and technology, it looks like RootsTech 2012 will live up to its name. One of the reoccurring issues among genealogists is the "I own my genealogy" attitude, usually expressed by anguish over someone who "stole" all their hard-earned research. Unfortunately, the person with this attitude usually also wrongly believes that all of their genealogical research is covered by "copyright." The attitude and belief are further fostered by simplified lists of what is and what is not covered by the U.S. Copyright laws. Most of the simple statements you see about copyright are from a legal perspective, pure folklore and show a complete lack of understanding of what it takes to enforce a claim of copyright. I am not going to continue the tradition, common in the genealogical community and in the population at large, by giving you a simple "Ten Steps to Copyright" or anything like that. Copyright law, in general, is very technical and not easily explained or understood. It would be nice if it were otherwise, but law is not one of the areas that can be encapsulated in a 30-second sound bite. Let's see if there is anything in a compilation of genealogical data that can be considered original under the U.S. Copyright law? First, the definition of a "work," the term used in copyright law to identify something that may be subject to copyright. Can you find a family group record or a pedigree chart in that list? Do you see the word "original?" Where did you get the information that went into your family group sheets? Think about how much of what you have found is actually original? Not original in the sense that you did the work, but original in the sense of created by you from your mental effort. Are you the author of the genealogical information? The closet definition I can find in the Copyright Act that might apply to genealogy is the definition of a "compilation" defined as "A “compilation” is a work formed by the collection and assembling of preexisting materials or of data that are selected, coordinated, or arranged in such a way that the resulting work as a whole constitutes an original work of authorship. The term “compilation” includes collective works." Before you get excited about "collective works," there is a definition of that term also, "A “collective work” is a work, such as a periodical issue, anthology, or encyclopedia, in which a number of contributions, constituting separate and independent works in themselves, are assembled into a collective whole." Do you see your family group sheet yet? The idea of originality is central to whether or not a work is protected by copyright. But what if I write a book about my family, isn't that protected by copyright? Likely, yes, unless you simply copy the information from other sources. To the extent that your work is original it may be subject to copyright. There is a specific exclusion for copyright coverage of lists taken from public documents or other common sources. See Circular 1, Copyright Basics, Page 3, U.S. Copyright Office. This, then, resolves the doctrinal tension: Copyright treats facts and factual compilations in a wholly consistent manner. Facts, whether alone or as part of a compilation, are not original and therefore may not be copyrighted. A factual compilation is eligible for copyright if it features an original selection or arrangement of facts, but the copyright is limited tothe particular selection or arrangement. In no event may copyright extend to the facts themselves. Unfortunately for a potential claimant, genealogy does not offer an original selection or arrangement of facts. Is this the answer? All legal issues are resolved by addressing the particular facts presented. This general discussion is not intended to answer any particular legal dispute or claim. There are many ways we are getting stuck on technology. This past week, I was working with a patron at the Mesa Regional Family History Center and suggested that she would find a lot more records than those that were easily obtainable online. I could see her shoulders sag in disappointment. I doubted that she would do anything more in genealogy until she decided to spend the time and effort away from the marvelous machine.I also read the title to a news article about becoming addicted to the Internet. I couldn't help wondering that spending 10 or more hours a day typing into a computer wasn't some kind of affliction. These seemingly unrelated incidents started me thinking about the real place of technology in genealogical research. I commonly hear statements about how few of the world's records have yet to put online, but I think that most researchers, especially those starting out, have a tendency to ignore any possible record not already online. One indication of this is that the microfilm usage in our Family History Center has plummeted. We used to have more than twenty machines and many of them were in use almost all the time when the Center was busy. We now have less than 1/3 that number and they are hardly used. Has the amount of information online really gotten so great that there is no need to order in microfilms? I think not. Just think about it. The Family History Library has over 2.4 million rolls of microfilm. So far, looking at the site in September, 2011, there are about 794 Collections on FamilySearch.org. Granted, some of these collections incorporate a large number of microfilms but let's suppose there are as many as 5000 microfilm rolls represented by the collections now online. That is far, far less than one percent of the total number of microfilm rolls. One percent would be, of course, 24,000 rolls. Maybe that many have been scanned but at 30 minutes a roll, it would require a single scanner 142 years of constant scanning to scan 2.5 million rolls. I know they have more than that number of scanners working, but 2.4 million is a very large number. Now, think about it. FamilySearch and its predecessor the Genealogical Society of Utah, have been microfilming (now digitizing) records since 1938. What percentage of all of the world's records do you think they have microfilmed in all that time? I would guess a very small percentage since there are huge repositories such as the U.S. National Archives that have barely been started to be digitized. The point is paper and pencil genealogy is far from dead. Microfilm is still one of the best sources for finding source documents from all over the world. There are still a huge number of documents mustily residing in court houses, church record rooms, and storerooms all over the world. Using only the Internet to do genealogy is like trying to build a house with a power saw. Its a great tool, but only if you have a whole tool room full of other tools to help. I realize that there are a still a lot of people who get out of the computer chair and hit the road looking for ancestors, but I fear that the constant emphasis on how many records are going online is giving some (read a lot) of genealogists the idea that if you don't find what you are looking for online, then you are dead in the water, especially because the court house burned down. Go to the library. Go to all the libraries. Check out the records in the courthouses, Contact local newspapers for old copies. Look in graveyards. Talk to cemetery sextons. Take to morticians. Check out the local genealogical society's records. Go to the nearest Family History Center and look at their books for a change. Go to a genealogical library. Take a trip to the National Archives. Do you get the idea? Oh, by the way. Did you see the huge number of records they put on FamilySearch.org this week? One last comment. No I am not abandoning my computer or the Internet. I think failing to check out the available sources online before you get in your car and start driving is like building a house in a swamp without a foundation. Just don't give up when you can't find anything online. Copyright issues come up with genealogists in the context of family genealogy databases, blog posts, published family histories and use of old documents. Many people believe that as long as they are copying something for "personal" use that is what is meant by the Fair Use Doctrine of the U.S. Copyright law. In addition, many, many people, including a fairly large number of genealogists, think that everything online is not just Fair Use but fair game. Almost every day of the week I see republished material in Facebook or quoted in Blog posts without any semblance of permission from the original copyright owner. The issue of loss of copyright when a work passes into the public domain is not the same as Fair Use. One of the reasons that large corporations, like Coca Cola, defend the use of their Trademarks and copyright is to prevent their products from becoming so commonly used as to pass into the public domain. Unfortunately for the individual using others' works, there are no clearly delineated guidelines as to what constitutes fair use or when an otherwise protected work passes into the public domain. The only way I can determine the limits of copying is to look at what the Courts have decided is or is not fair use. Similarly, the only way to tell of some work has passed into the public domain is to resort to court decisions. That is the bad news and there is no good news. There are an extremely limited number of copyright cases concerning genealogy so there isn't much direct guidance. But there is a lot of indirect guidance in the form of similar issues decided by the courts. Remember, that all copyright cases have original and exclusive jurisdiction in the Federal Court system. You cannot go down to your local Justice Court or Municipal Court and file a copyright claim. In another case, the Court held that to succeed on a claim of copyright infringement, plaintiff must demonstrate that there is (1) ownership of a valid copyright and (2) copying of constituent elements of the work that are original. Mattel, Inc. v. Pitt, 229 F. Supp. 2d 315 (S.D.N.Y. 2002). So then, what do the courts say about Fair Use? As you can imagine, there are a huge number of cases on Fair Use although, as noted, very few refer directly to genealogy. First of all, the courts acknowledge that the whole issue is vague. In the case of Campbell v. Acuff-Rose Music, Inc., 510 U.S. 569, 114 S. Ct. 1164, 127 L. Ed. 2d 500 (1994), the court essentially held that Section of 1976 Copyright Act describing fair use doctrine requires a case-by-case analysis and not rigid application of bright line rules; statutory examples of permissible uses provide only general guidance. (2) An Order Warning of Copyright shall be printed within a box located prominently on the order form itself, either on the front side of the form or immediately adjacent to the space calling for the name or signature of the person using the form. The notice shall be printed in type size no smaller than that used predominantly throughout the form, and in no case shall the type size be smaller than 8 points. The notice shall be printed in such manner as to be clearly legible, comprehensible, and readily apparent to a casual reader of the form. That helps a lot doesn't it? I get the impression that most people are oblivious as to the origin of the things they buy. Unless you are worried about ecology or slave labor, you probably have only a very vague idea about where your bread is actually baked or which dairy produced the milk you had for breakfast. You might even argue that it really doesn't matter. Let me describe a hypothetical situation for you. You go into a car dealership to purchase a new car and there are two seemingly similar models. One was manufactured in Japan and the other was made in Sri Lanka. Which would you be more likely to buy? Nothing against Sri Lanka by the way, but they are not known in the U.S. for their car manufacturing business. But did you know that they do make cars in Sri Lanka? See Micro Cars. And by the way, they appear to be really nice cars and small trucks. What if the car dealer had both cars available but conveniently avoided telling you the one you were buying was made in Sri Lanka? Two weeks later, you have a problem with your new car and take it back to the dealership. Unfortunately, the dealership is no longer there. Sri Lanka just put an export duty on their cars and you can no longer get parts in the U.S. So how do cars on Sri Lanka relate to genealogy programs? You are paying for goods and services, you might want to know whether or not the company you are dealing with will be there long enough for you to get a full year of access to a database you paid for. You may hear news that a large company in another country is going out of business and think so what? Then you find out that all your genealogical information is in a company owned by the larger company and that they have decided that the genealogical segment is unprofitable and are closing it down. What happens to your data? When you are dealing with big businesses, you are dealing with decisions made by people who have no interest in genealogy at all as genealogy but only as a market segment or investment of their overall portfolio. Of course, I am not advocating breaking off ties with large genealogy companies, but only taking into account that you might have had a subscription to Footnote.com and now do not, just for an example. You just might want to know who you are dealing with. For the purposes of my questions about ownership, most of these listed databases are not a consideration. For example U.S. GenWeb is a group of volunteers across the U.S. On the other hand, RootsWeb is one of the companies owned by Ancestry.com and from my standpoint, doesn't count as a separate entity. I already mentioned that Footnote is no longer with us and is now owned by Ancestry.com under the name of Fold3.com. The National Archives isn't a private business at all, so I wouldn't consider it in the same category since it is "owned" if that is word, by the U.S. Government. That leaves WorldVitalRecords, GenealogyBank, Godfrey Scholars and Family Tree Connections. Four out of ten that we even need to consider. Godfrey Scholars is easy, it is the Godfrey Memorial Library. Quoting from their website, "The library does not receive funds from any local, state, or federal agency. Our operating funds primarily come from the sale of memberships to the online Godfrey Scholar Program and through patron donations. Although it is a privately owned library, it is free and open to the public six days a week." That leaves three for another post. I got a surprise Facebook message from a distant relative informing me of another huge collection of photographs taken by my Great-grandmother. But I need to backup a little. 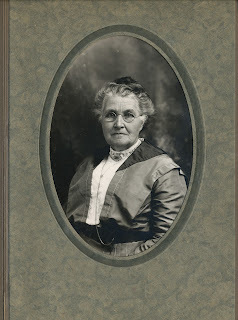 My Great-grandmother, Margaret Godfrey Jarvis Overson was the daughter of Charles Jarvis, a professional photographer. Charles Jarvis was born in London, England in 1855. His daughter, Margaret, my Great-grandmother, was born in St. George, Utah in 1878. I knew her quite well as she came to our home every holiday for dinner. She was a genealogist and a professional photographer. I have hundreds of her photographs. She was one of the very few pioneer women professional photographers in the West or anywhere else for that matter. One of my repeated and persistent questions was what happened to all of her early photographs and what happened to the negatives? I got a lot of the photos and negatives but nothing like all that she took. Because of my blogging and being on Facebook, I found out that the photos are sitting in the St. Johns, Arizona Family History Center. I am hoping that I can get the opportunity to make scans of all of the photos. What a find!!! Here is the moral of this story. You need to be looking and you need to remember that source documents might turn up in very unlikely places. I have often been tempted to review genealogy software. At one point in my life, when I owned a computer store and a software development company, I probably examined a half a dozen new programs a week because I essentially had an unlimited access to new software. It got to the point where I could decide whether I liked a program or not within a matter of minutes. Because this evaluation process went on for years, I probably looked at/learned hundreds, if not thousands of programs. There is a limit, however, time, money and advanced age take their toll. I still maintain quite a variety of programs, but even if I like a program, if I don't end up using it frequently, I will not pay to upgrade it and when I move to a new computer, the old, un-upgraded programs disappear. When I look at a new genealogy program, I immediately go to the website and read about the features. If there is still something about the program that catches my interest, I may go to the extent of downloading a demo version, if one is available. If not, I look at what other reviewers are saying about the program. In the case of genealogy software, I do most of my evaluation at genealogy conferences. I will often sit at a booth wading through interruptions until I have all of my questions answered about a program. When I download a program, I will try it out with a sample data set, usually a copy of one of my large genealogy files. I use the same process with all types of programs, but my emphasis here is genealogy programs. I will work with the program and see whether I like it or not and what, if any, obvious problems it might have. If the program still seems to fulfill some need, I will buy a copy of the program. Now, I am back to the issue of use. Do I end up using the program or not? If I use the program enough to justify upgrading it, I will continue to buy upgrades. If I find a program has moved off my list of useful and used programs, then I will simply let it disappear. In some very rare cases, I find a new use for an old program and then I either have to buy the latest version or pay for the upgrade if an upgrade is available. How much help is a software review? As you can see from the process I go through with programs, reviews only enter the process at the very lowest level of consideration of a program. I resort to reviews only if no demo version of the program is available and the features of the program still hold my interest. Do I trust software reviews? Not really. Here is a good example from a recent experience. I was considering the upgrade to Apple's OS X 10.7.1 Lion. This is a particularly important consideration because the potential for catastrophic consequences. I found some particularly disturbing reviews on the Apple.com website. They were very negative and had some specific examples of problems with the new OS. There is no way to download a demo copy of a new operating system and I really wasn't at all interested in the new "features" of the program. My main interest is maintaining compatibility. So what did I do with all the negative reviews? I decided to test the reviews to see if they were accurate. I also got an opinion from one of my sons who is on the computer even more than I am. I downloaded the new OS to my laptop. One of the problems that had been a factor in the reviews was that Adobe Photoshop did not work with the new system. This was a deal killer for me. I would not be able to use the new operating system as long as this type of problem existed. As soon as I downloaded the OS I found the reviewer was correct. Photoshop did not work. But there was an immediate solution. I just happened to know that Photoshop had an upgrade, because, as I mentioned above, I continue upgrade the programs I use all the time and I had just recently downloaded an upgrade from Adobe on my desktop computer. As soon as I downloaded the upgrade, Photoshop worked perfectly. The reviewers had struck out in my book and I immediately upgraded my other computer. Since I have had Lion on my computers for about two or three weeks, I have had nothing but minor problems that I haven't had the time to figure out yet. Nothing at all serious. So, should I have believed the reviewers or not? Sometimes that is all I have to go on but in those cases, I have frequently struck out with programs. I have downloaded a number of genealogy programs that had glowing reviews and found serious flaws within minutes of the download. This occurs because of a vast difference in the point of view of some reviewers and my own needs and experience. In the case of the reviewers of OS X 10.7.1, I think the reviewers may have had the problems they described, but I did not. This was likely, as in the case of Photoshop, that I kept my programs upgraded so that I could maintain compatibility. (Wait a minute, I already said that). Should I get into the software review business? Decidedly not. I really do think that most of the more popular genealogy database programs are all really great. I don't want to seem to be favoring one over another. I value all of the software companies for their contribution to genealogy. I have found a few programs that did not perform as advertised. But the genealogy market is small and communicates well. Most (read all) of those programs do not last long. Let's suppose I took a program like RootsMagic or Legacy Family Tree or Family Tree Maker and told you what I think of the program. What good would that do you? Would it change your mind to know that I have all three of those programs and use all three regularly? Would it change your mind it I told you about all the other programs I have and use regularly? I do appreciate those bloggers out there that give software reviews. Keep it up. I will continue to read them. But I have no plans to take sides or make software enemies any time in the future. According to the brightsolid website, the company began in 1995 as Scotland Online as an independent provider of IT business services. It partnership with SunGard, it is also a business Internet Service Provider. Focusing on the genealogical involvement of the company, brightsolid manages ScotlandsPeople.gov.uk, a partnership between the General Register Office for Scotland, the National Archives of Scotland and the Court of the Lord Lyon. Quoting from its website, "In 2007, brightsolid acquired findmypast.com, an online family history site. findmypast.com was the first website to put the complete birth, marriage and death indexes for England and Wales online. The company also successfully launched ancestorsonboard.com, the online passenger lists records resource, for The National Archives in January 2007. It included details of over 24 million travelers, including the historic details of the Titanic’s maiden voyage." brightsolid.com operates under the name brightsolid online publishing limited and has the following websites: findmypast Ireland, findmypast Australia, the 1911census.co.uk, ancestorsonboard.com, Scotlandsprople.gov.uk, Friends Reunited Dating, Genes Reunited, 1911census.co.uk and FriendsReunited. As you can see, brightsolid has a significant presence in the United Kingdom's genealogical community online. brightsolid has offices in Dundee, Edinburgh and London. None of these publications could be considered oriented towards genealogy in any fashion. In these initial updated observations of the ownership of the genealogy companies, one thing should be clear, the larger companies like Ancestry.com and brightsolid are part of larger business ownership that has no direct connection to the genealogical community. Having dealt with hundreds of businesses over the years, I am fully aware that decisions involving the business will be made on the basis of their best business judgement and not at all in the interests of individual genealogists. This is not by itself a bad thing. But this fact should be kept in mind when relying on these businesses in the long haul and caution is advised in depending on them to provide continuity of their individual products and services. I do not wish to be misunderstood, Ancesty.com and brightsolid provide marvelously useful services to the genealogical community. My point in this analysis is to indicate that the interests of these multinational corporations and individual genealogists may not correspond. On September 15th we will be removing from Fold3 some of the newspapers that came from two of our partners, SmallTownPapers® and Gannett. This is due to contractual issues and we have no plans to remove any other content from the site. Despite the disclaimer, it seems inevitable that other content on the site will change with a stated emphasis only on military records. If you look at their list of source records, you will still see huge numbers of records that are decidedly not military, like Massachusetts Vital Records, Lincoln Assassination Papers, and a huge collection of Naturalization Records. What will happen to these collections when they are buried in Fold3.com. How will anyone know to look for them? Also, what will happen to the non-military Memorial pages? Many people had used Footnote.com to construct memorial pages to their ancestors, most of whom were not associated with the military at all. If you go to the Fold3.com Memorial Pages, you will instantly see that the idea here is a military memorial page. If that is not enough, if you examine the Fold3.com website even more carefully, you will see something else that is missing; any reference to Ancestry.com as the owner of the site. Nothing. Absolutely nothing telling you that there is a connection to Ancestry.com. Now why is ownership of the genealogy sites so important? Here are a couple of reasons. First, subscriptions to a online genealogy database site are made with the expectation that your research will benefit from the content, both existing content and future additions. Second, continued subscriptions are mostly contingent on finding more records during the course of the subscription. If your family members were not in the military, then why would you subscribe to Fold3.com? But think of this, you are presently a subscriber to Ancestry.com and you discover that some of your ancestors served in the military. For some unexplained reason, the military content on Ancestry.com is deficient. But you find this wonderful site dedicated to military records called Fold3.com, so you subscribe to Fold3.com. Now, Ancestry.com has two subscriptions from you for its information rather than one. Do you think I am being overly cynical? I think not. Would the fact that you knew that both Fold3.com and Ancestry.com were the same company make any difference in you decisions? Maybe? This is why I am examining the ownership of the genealogy companies. So that when the larger companies simply fragment their collections into separately subscriber segments you will at least have an opportunity to know about the problem even if there is no solution. What is apparently being done by Ancestry.com is good business but as a practice the effects are not necessarily beneficial to the genealogical community. Don't you think the owner/managers of Ancestry.com who are decidedly not genealogists will make business decisions based on markets and profits rather than access to records and the convenience and finances of the genealogists? I do. Have you ever seen a product (like clothes or whatever) that was priced at a low price in Walmart and exactly the same product, perhaps with different branding on sale in an expensive boutique for a lot more money? It pays to have several different outlets for your standard product. So what about Genline.se? This is a Swedish site that, by the way, obtained the bulk of its content indirectly from FamilySearch. Originally, most of the records were microfilmed by FamilySearch and then a copy given to the Swedish Government, the Swedish Government then gave/licensed the records to the Genline.se company and they eventually ended up purchased by Ancestry.com. See Wikipedia:Genline For the purchase information see Genline.com's news release. Any questions about what is going on? I have a lot. Check back for more updates on who owns the genealogy companies. Some time ago, I wrote a blog post series on the ownership of the commercial genealogy companies. Since that series, there have been a number of purchases and consolidations and it is again time to look at the commercial genealogy landscape. This particular thought had been running around in my head for while due to recent comments on the old blog posts. But the catalyst was an email letter from the owner of Netflix (Yes, I do watch movies now and again) in which he announced that Netflix was splitting off their DVD rental business into a new company called Qwikster. So now, if you want to rent DVDs you will do so from a different company than Netflix and pay a separate bill. See Netflix saying goodbye to DVDs. Essentially, the same type of business arrangements are being made every day among the commercial genealogy companies. So here I go with the analysis. The Church has what is called the "donations in kind" office that manages issues related to real estate, stocks and bonds, and other "non-cash" contributions. Interested parties can call Church headquarters and ask to be connected to this department, which will provides frank information about the Church's policy in this area. It is the Church's practice to automatically liquidate all stocks/bonds provided to the donations in kind office as soon as they can be sold. Any stock donations made to the Church are never held by the Church or its corporations, but are converted into cash and then used for Church purposes. It is correct that FamilySearch and Ancestry.com share some databases and cooperate at certain levels in providing either indexes to records or scanned copies of the records in their respective websites, but that cooperation does not imply that there is any ownership interest either way. Rather than believe that there is a conspiracy, maybe the commentator should talk to the missionaries and find out if they were sent by Ancestry.com. If he talks to most of the missionaries I know, the young white shirt and tie kind, he will likely find out that very, very few of them will have even heard of Ancestry.com except as advertised on TV. Now, let's see if there has been any change in the ownership/management of FamilySearch. Of course, this is highly unlikely because it is basically a very conservative organization. However, one thing is certain, people come and go at FamilySearch. Only speculating, but I would guess that although they pay their employees adequately, their salaries are probably significantly less than they could make out in the general commercial world in a lot of cases. This would tend to explain, in part, why there is a turnover in personnel. But despite periodic changes in faces at FamilySearch, the goals and basic organization have not changed. The quality and dedication of the people working with FamilySearch is exceptional. Paid well or not, they are some of the best computer and genealogy people available. FamilySearch, International (usually abbreviated) is a separately organized nonprofit educational institution. FamilySearch has employees and also functions with volunteers in the form of Church Service Missionaries. Some confusion comes by virtue of the fact that FamilySearch is also a dba of Genealogical Society of Utah. Obtaining information about the size of the FamilySearch organization and its other business activities is fairly difficult. But it is evident that FamilySearch runs the Granite Storage Vault, the Family History Library, the remains of various FamilySearch affiliate organizations and a lot more. Quoting from the Genealogical Society of Utah website, "
FamilySearch, historically known as the Genealogical Society of Utah, is dedicated to the discovery and preservation of a record of the family of mankind, introducing individuals to their ancestors through the widespread access of records, and collaborating with others who share this vision. All of the services provided by FamilySearch are free to the users, however, FamilySearch does charge for some of its products, such as CDs or DVDs, at or near the cost to reproduce those items. Ancestry.com is a lot more complicated structure than FamilySearch. Since 2007, Ancestry.com has been owned by Spectrum Equity Investors, of Boston, Massachusetts and Menlo Park, California. Click on the link to see what Spectrum Equity Investors owns, you might recognize some of the companies in addition to Ancestry.com. The websites owned and operated by Ancestry.com include Genealogy.com, MyFamily.com, LongLostPeople.com and Rootsweb.com. LongLostPeople.com has been absorbed into Ancestry.com. Since my last post on this subject, Ancestry.com has purchased two of the other large online databases. One of the purchases was formerly called Footnote.com, but now is called Fold3.com. Ancestry.com also purchased the Swedish online database called Genline.se. Ancestry.com lists 30,206 databases. FamilySearch.org lists 783. But there is no real way to compare the two collections. Ancestry.com has mainly indexes of records, while FamilySearch.org has a majority of images. Some of the FamilySearch.org collections have literally millions of records. Let's just say that both have a lot of resources and are adding more all the time. There is no "better" only different. In succeeding posts, I will look at some of the other larger genealogy companies. There is not an endless list. Most genealogy companies tend to be very small family or personally owned operations. But it is important to know who you are dealing with when it comes to online records and family trees. I probably hold some kind of record for geekyness over the age of 65, but that doesn't stop me from having every kind of electronic problem imaginable. The perversity of electronics is magnified when the devices are coupled with programs. I am struggling to make this post a cautionary tale rather than a rant, but at the moment ranting is winning. Sometimes the issue is something annoying like Apple OS X Lion's propensity to clean up all my desktop icons. I DON'T WANT MY ICONS CLEANED UP. I want them exactly where I put them. If I wanted them cleaned up, I can do that anytime by simply selecting the arrange icon option, but Lion seems to ignore me. I went online, as usual, and found out that this is a problem with some users but not necessarily one that can be solved. Using my Canon SLR, while I was taking my last series of 360 degree panoramas, I began to notice a spot on the pictures (in what you might refer to as the upper right hand corner) that seemed to get darker as time went by. So using my geeky abilities, I cleaned the lenses and the sensor according to strict manufacturer directions and specifications. The spot got worse. Because it was a light spot and then a dark spot, I concluded that the spot was a defect on the sensor. Yes, the camera was under warranty. So I spend an hour and half waiting in line at BestBuy to get the camera looked at by their Geeks. Guess what? They don't fix cameras, they send them off to camera land to get fixed. Guess what? BestBuy camera land doesn't fix cameras, they send them off to the manufacturer. Guess what? The manufacturer agrees with me, the sensor is bad. So the manufacturer sends the camera back to the BestBuy fix it chappies, then they send the camera back to the store. How long did this take? Would you believe over two weeks, so far? By the way, I ought to mention our cable TV system. None of the remotes now work, that is three of them. Why don't they work? Because we have a cable box, a TV, and two DVD players. Why do we have two DVD players? Because they will only work when they are hooked together and will not work separately under any circumstances and I refuse to dump the whole system just because the remotes won't work. There is one benefit, none of my grandchildren can turn on the TV or watch a movie without me to push the right sequence of buttons. Most of these types of problems would be paralyzing if I hadn't dealt with similar problems for the past thirty years or so. But what do you do if you have a problems with technology you can't resolve personally. Hmm. Do you hire an expert? How do you know the person is an expert? The Geeks at BestBuy knew far less than I did about Canon SLR cameras, but there were people lined up to talk to them. Do you rely on your geeky son or daughter? Or some other relative who "knows all about computers and stuff?" By the way, I know how to fix my TV. I am junking the whole system and watching movies on my 27 inch iMac from now on. Now a serious note (is it possible? ), in the case of most electronics you have to balance the utility, cost and time for the repair against the cost of replacement of the device. In the case of my Canon SLR, I knew the camera could not be repaired. The sensor is the most expensive part of the camera and because of the way they are manufactured, there is no easy way to replace the sensor. True to form, I am informed that the camera has to be replaced with a "similar model." Whatever that is? Is it worth the money to buy the Store extended warranty? For some products it is depending on the price of the product. For something like a cell phone, it is a waste of money. There is no way that the so-called insurance wouldn't cost nearly the price of the original phone. For an expensive TV or camera? Maybe, depending on the type of use. If you are like me carrying your camera all over creation and falling down with the camera and getting sprayed by rain, snow and ice, I think the extended warranty is worth the money. But if you are buying a TV do you really think you will have a problem in the second and third year past the one year manufacturer's warranty? Not likely. What happens to the warranty if they replace the product? Do you have to buy the warranty all over again on the new product? Oh well, there are a lot of factors involved in maintaining electronic products. Most of my computers have gone obsolete rather than break down. I replace perfectly good computers all the time. Just a short few months ago the media was full of disparaging comments about tablet computers. Apple's introduction of the iPad was seen as product without a market. Commentators (most of whom now probably own tablet computers) were certain that no one would buy the product because it was neither a full blown computer (whatever that is) nor was it a smartphone. Some pundits predicted that the devices wouldn't sell because they would not fit in a pocket. Meanwhile, all of the criticism aside, Apple has gone on to ship 9.3 million iPads during the second quarter of 2011, helping it to secure 68.3 percent market share. Read more: http://news.cnet.com/8301-13506_3-20106090-17/tablet-shipments-jump-304-percent-in-second-quarter/#ixzz1YGo5ebGg In addition, over 62.5 million tablet computers will be in stores in 2011 and this is a huge market segment. Since genealogy is such a data intensive pursuit, it is natural that genealogists in general would be interested in faster and more versatile technology. One example of the acceptance of genealogists of new technology is the rapid infiltration of the Google+ social networking site by genealogists. Meanwhile, there are still articles out there asking questions like whether or not you can do "real" genealogy on a tablet computer. As I sit here writing this post, my wive is working on her iPad which has a fully functional bluetooth keyboard integrated as part of the case. Although she is an extremely capable computer users, you could hardly classify her as an early adopter. Notwithstanding that fact, the iPad has nearly revolutionized her interaction and use of computers. She does complain that using her fingers to move things around and work on the screen is awkward and I would have to agree. Despite the ads, it not intuitive to use most of the so-called gestures, but once learned, the iPad or other copy-cat types of tablets are not toys, especially if linked to a keyboard, they are serious computers. Would I give up my MacBook Pro for an iPad, not hardly. But I would use an iPad for a lot of tasks that I normally would not have done on a computer at all. Because of its portability, the iPad (and even more the iPad 2) is much more convenient to carry than a laptop. You can use an iPad in places that it would be inconvenient to use a laptop. I can not claim to have converted over from my iPhone to an iPad, I find phone does all that I need outside of using my MacBook Pro, but I have enough of my friends and family members using them to indicate to me that they are not a passing fad. If may well be with the addition of more peripherals, that tablet computers (an iPad 3 or whatever) may become a viable alternative to a laptop. What about the future? Will any of the non-Apple tablet computers take over number one from Apple? It could happen. But the possibility appears remote. Will non-Apple tablets continue to sell, yes, based on price alone. Will you be able to do serious data entry on a tablet? It could happen, but is not presently a viable alternative. If you bought a tablet computer, would you be a happy user? Very, very likely. A large online genealogical database charges a subscription cost to use its services. The online service has accumulated a huge number of records, many of them from government entities. 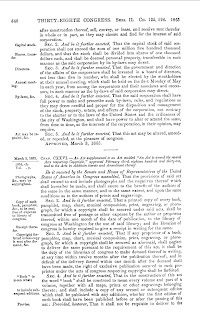 Deep in the terms and conditions statement of the corporation is the statement, "Whether in the free section or in the subscription section of the Service, all Content is owned and/or copyrighted by Ancestry, or third party providers and may be used only in accordance with this limited use license. The database is protected by copyright as a collective work and/or compilation, pursuant to U.S. copyright laws, international conventions, and other copyright laws"
The "Content" of the database is defined as, "graphics, information, data, editorial and other content accessible by any registered Internet user and similar content which is accessible only to our subscribing members." The database contains a copy of the 1980 U.S. Census. Can the online service claim some sort-of copyright to the U.S. Census records? Does the online service have copyright protection as a "collective work?" What if the online service has a scanned copy of the World War I Draft Registration Cards, can the service claim a copyright to the scanned images? Would it help you to know that Title 17 USC Section 101, the Copyright Act of the United States, defines a "collective work" as follows: "A “collective work” is a work, such as a periodical issue, anthology, or encyclopedia, in which a number of contributions, constituting separate and independent works in themselves, are assembled into a collective whole?" Do you think that the online database fits the definition of a "collective work?" My example shows that there is sometimes a gap between what may be actually covered by copyright law and what is claimed as covered. Are the "independent works" in the online service copyrighted works in themselves? Would it help to know that works by the U. S. government are not eligible for U. S. copyright protection? See Copyright Basics, page 5. Would it also help you to know that there is a requirement that the work (i.e. the online database) has to give a notice of those portions of the work that are subject to a copyright claim and those portions of the work that are U.S. government documents and not subject to copyright? See Title 17 USC Section 105. From these examples and citations, you can probably guess why there are intellectual property rights attorneys. Here is the point, copyright law is not something you can make simple general statements about. It is not simple and general statements are usually misleading. Deciding whether or not a work is protected may be anything but simple. You may come to the conclusion that the online data service has only a very tenuous claim to any copyright protection based on your reading of the law, but at the risk of being considered cynical, I would point out the the online database probably has a lot more money to spend on attorneys than you do. Watching the clouds - a genealogical parable. What is reasonable? Where do I search? Another Brush with Identity Theft?